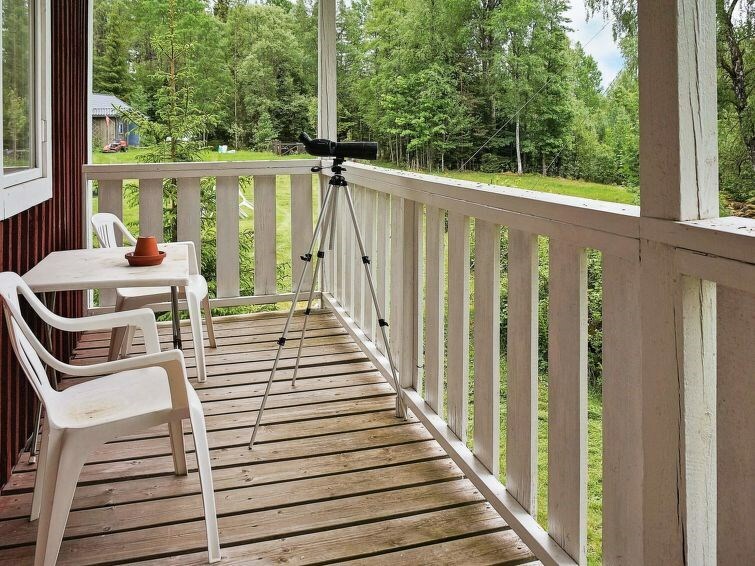 This delightful holiday home is set right next to a forest and a lake, north of Växjö, in beautiful Småland. The cottage features a well-equipped kitchen with a dishwasher. The spacious living room is equipped with a wood-burning stove and a sofa bed for two. The living room opens onto the large balcony/terrace from which you can admire the beautiful surroundings. There are two bedrooms, each one is equipped with one single bed. The bathroom has a WC, a washbasin, and a shower. The wood-fuelled sauna is in a separate building. 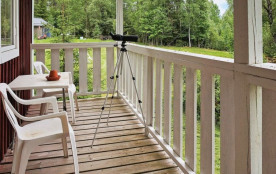 The cottage is surrounded by a big, beautiful garden and lake Gölen is just 100 metres away. By the lake, you will find the rowing boat that is included. Fishing for pike and bass is free of charge. The area offers plenty to see and do. Visit the elk park, Vrigstad Älgpark, which is 16 kilometres away! Or make a day trip to Boda Borg in Sävsjö, 14 km, fun for people of all ages! IThe charming town of Vimmerby is 110 kilometres away. This area is the setting of many of Astrid Lindgrens beloved childrens books such as Emil of Lönneberga. The children will really enjoy Astrid Lindgrens World. Katthult and Bullerbyn are also close. Or why not take a daytrip to Mariannelund and find out how sweets were made in the olden days? Another great destination for a day trip is High Chaparral Adventure Park, 75 kilometres away.